The Timbavati Game Reserve is accessible in a variety of ways. And although your destination will feel far from the modern world, the reserve is easily accessible by car or plane. Most people choose a scheduled flight or shuttle flight to the reserve. Travellers on a longer journey travelling by rental car also have easy access to the Timbavati. A few flight possibilities are available for those who want to fly to the Timbavati Game Reserve. South African Airways offers flights to some airports in the vicinity of the reserve. From OR Tambo Johannesburg International Airport it is possible to travel to Hoedspruit Eastgate Airport (HDS), Kruger Mpumalanga International Airport (MQP) and Phalaborwa Airport (PHW). Another possibility is to travel from Cape Town to Hoedspruit Eastgate Airport on a scheduled flight. From all airports it is possible to continue the journey to your Timbavati safari lodge by road transfer. We recommend flying directly from Johannesburg or Cape Town to Hoedspruit, as this is the nearest airport and is serviced twice daily. The road transfer from Hoedspruit to Timbavati takes around one hour. 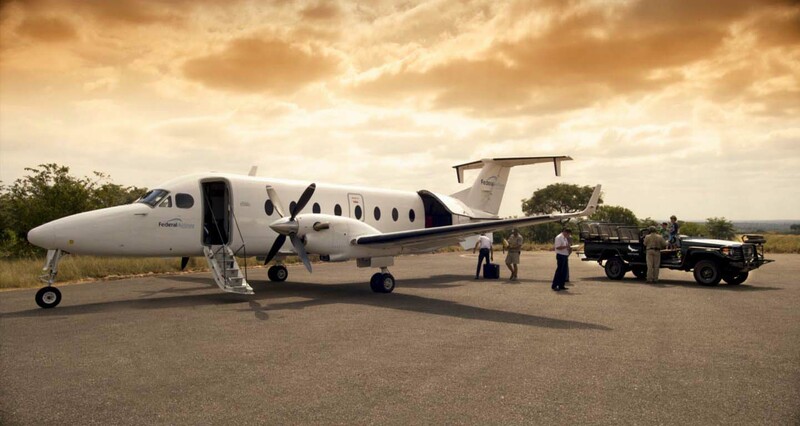 The fastest and most convenient option to get to the Timbavati Game Reserve is by making use of a scheduled charter flight from OR Tambo International Airport in Johannesburg. Federal Air serves almost all lodges in the reserve on a daily basis. View our Federal Air Timbavati page for all details. The most exciting start of a Timbavati safari, is by arriving at your lodge with a so called ‘lodge hop’. This is an air transfer made by means of a small aircraft. 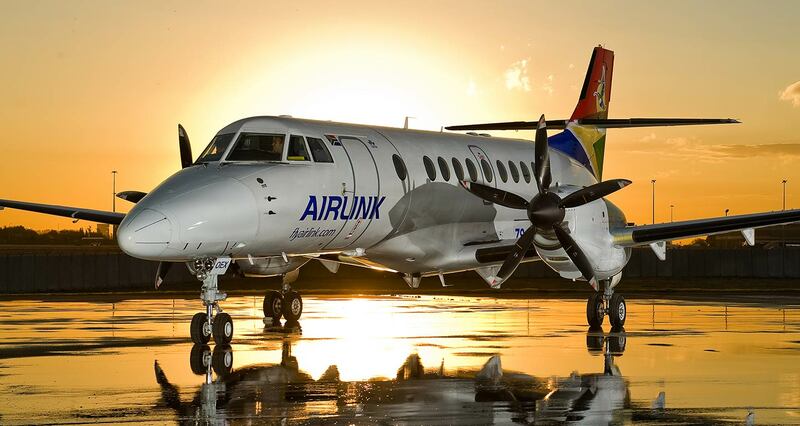 These short charter flights can be arranged from Hoedspruit Airport, Kruger Mpumalanga International Airport and Phalaborwa Airport. Most lodges in the Timbavati Game Reserve have their own airstrip. With a lodge hop, your safari adventure will have an unforgettable takeoff. Flights are very scenic, as small aircrafts stay at a low altitude. Look out of the small window for an exclusive overview of the game reserves in the area. There is an excellent paved road from Johannesburg (about a six¬ hour drive) that leads you to Timbavati. Although the last eight kilometers of road inside the Timbavati Reserve is unpaved, it can be driven in a standard 2 x 4 vehicle. The Timbavati access gate is very close to Kruger National Park's Orpen Gate. When travelling on the R40 between Hazyview and Phalaborwa, turn off at the Orpen signpost and continue until you see the Timbavati Reserve sign (after approximately 36 kilometers). Pass the South African Wildlife College on your left and further on turn right to enter the Timbavati Game Reserve. Proceed on for 200 meters to the Timbavati entrance gate where an entrance fee is payable. If you miss the turnoff to the Timbavati you will arrive at Orpen Gate of Kruger National Park some 4 kilometers further. You will need to turn around and find the Timbavati reserve entrance on the left hand side as you head back. The Timbavati has one access gate. Access is via Orpen Gate road. Each guest will be charged an conservation levy of ZAR 190.00 per person. There is also an additional charge per vehicle (car/minibus ZAR 140.00). These rates are subject to change. Fees are payable at the gate. Timbavati Reserve Gate Opens at 06h00 and closes at 18h00. If your arrival is later than 16h00 or if you require assistance, please contact your accommodation. 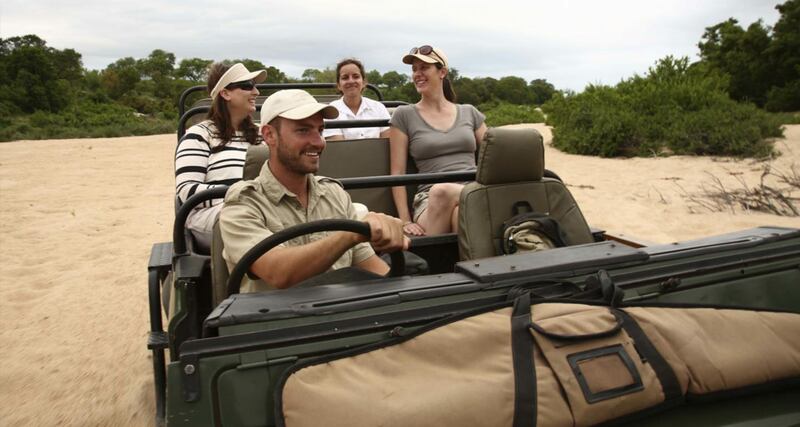 There is a great variety of ways to get to the Timbavati Game Reserve making it a very accessible game reserve.